A man bumps into his mathematician friend on the street that he hasn't seen in 5 years. 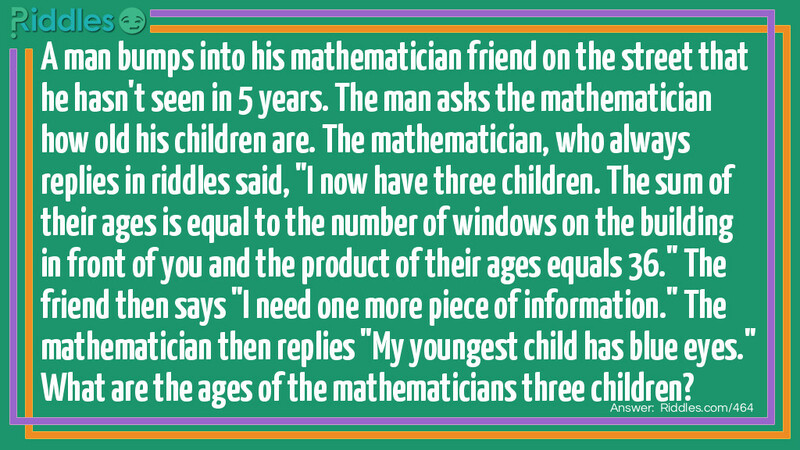 The man asks the mathematician how old his children are. The mathematician, who always replies in riddles said, "I now have three children. The sum of their ages is equal to the number of windows on the building in front of you and the product of their ages equals 36." The friend then says "I need one more piece of information." The mathematician then replies "My youngest child has blue eyes." What are the ages of the mathematicians three children? They are 6, 6, and 1. 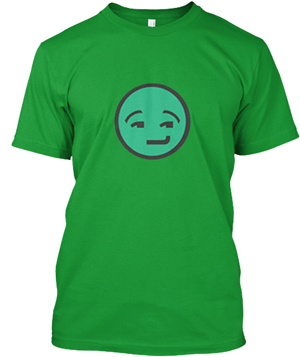 Speaking in riddles Riddle Meme with riddle and answer page link.